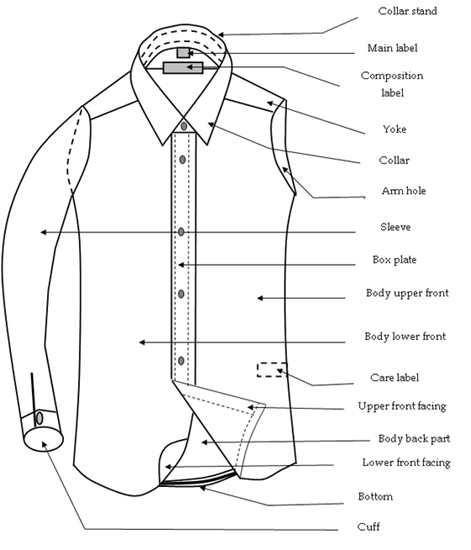 Various components of a shirt and blouse define its style – sleeves, cuffs, lower hem, body, neckline, and even pockets define the look a a shirt style. 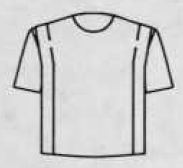 A bib top is a back-closing blouse with a band collar and square or rounded insets in front. 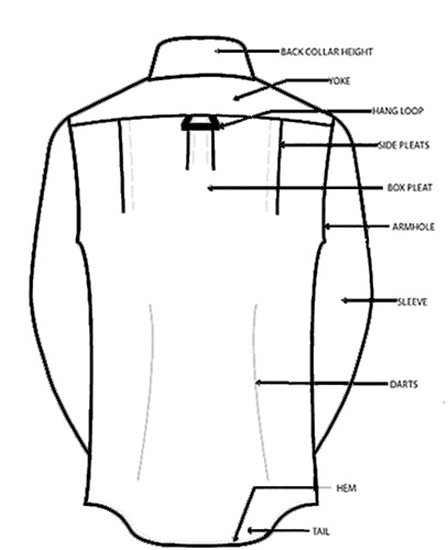 They are also called tuxedo blouses if the yoke is pleated. 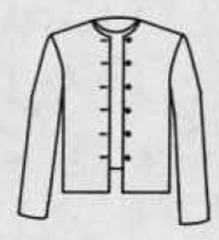 A blouson is an overblouse with length and fullness above the waist. 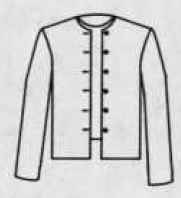 For blouses, the fullness is usually gathered into a band. 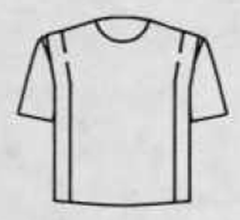 A body blouse is a very close-fitting blouse or shirt, usually of knitted or stretch fabric, that has a pant section or snap crotch. They are sometimes called body shirts. A bustier is a strapless top which may be fitted with darts, boned, or held in place by elasticized shirring. A shirred style is often called a tube top. 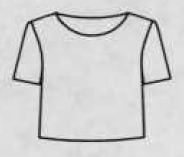 A camisole is a top with a camisole neckline. A cropped top is a fitted short blouse that reaches to the ribs. It usually features a scoop neckline and short sleeves. 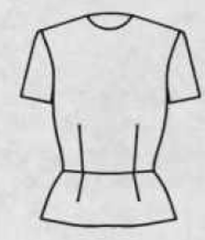 They are sometimes referred to as bare midriff top or if a fitted variation, a choli top. A flange top has a wide vertical pleat formed by a fold over the top of the armhole seam extending to the waist or hem. A kimono was once a long, full-length traditional Japanese garment but has been Westernized and reimagined to a form similar to a casual cardigan but longer. They are often knee length but may come in longer lengths. 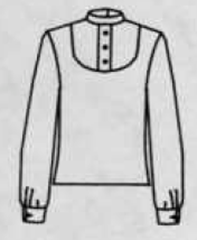 An overblouse is a blouse worn over the skirt or pants rather than tucked inside. They sometimes have slits at the side seams. 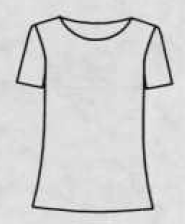 An oversize top is any style blouse or shirt cut extra large or sometimes extra long. 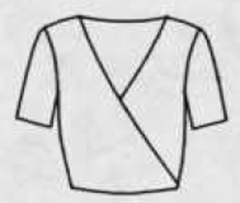 A peasant top is a blouse with a drawstring or elasticized neckline and raglan sleeves. They are also called gypsy blouses. A peplum is an overblouse with a separate seam at the waist to which is attached a ruffle, shaped, or bias-cut piece. 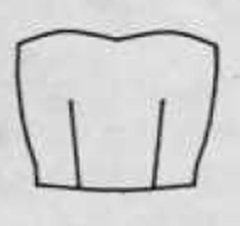 A peplum may also refer to an elongated blouse with an elasticized waistline. 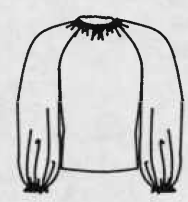 A pullover is a blouse which pulls over the head. 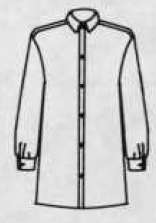 It may or may not have a collar, and can have short or long sleeves, but has a neckline large enough to go over the head. 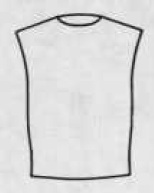 A shell is a sleeveless blouse with a jewel or scoop neckline. They may be buttoned in back or pullover types. A shirt or shirtwaist is a blouse styled similar to a man’s tailored shirt including one- or two-piece high stand collars, yoke, left chest patch pocket, and a button band front opening. 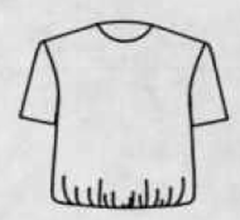 The hem is usually curved. 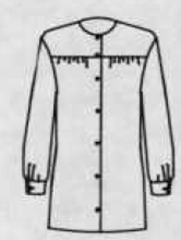 They are sometimes referred to as tailored blouses. A smock is an oversized blouse with yoke and fullness below the yoke. It is usually sleeved and worn as a coverup. 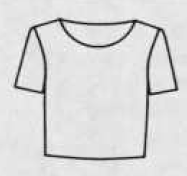 A torso top is an overblouse that fits snugly through the waist and extends to the hips. 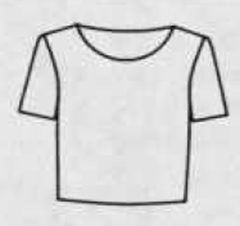 A twinset top is a pair of blouses or sweaters designed to be worn together. 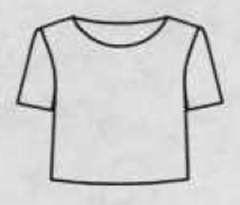 The overblouse is usually long sleeved with a buttoned front and the underblouse is similar to a shell or camisole. Sweaters with the same look may be called a sweater set. 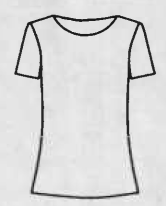 A tunic is an extended mid-thigh or longer overblouse of any style. Tunics are usually straight or slightly fitted and worn beltless. 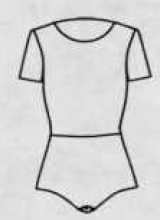 Tunics may be considered a two-piece dress when worn with a straight skirt. A western top is a shirt with a high stand collar, front and back shaped yoke, flap pockets or half moon pockets, large snap closings, and piping. 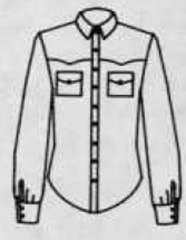 They are also called cowboy shirts. 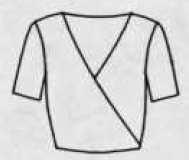 A wrap is a blouse with a crossover front. 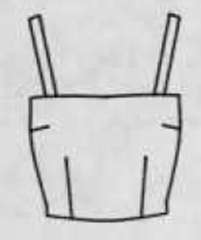 Wraps are usually held closed by a skirt or pant waistband. 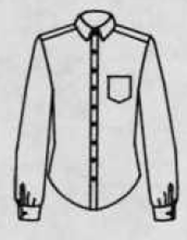 They are also referred to as surplice blouses.